The Ride Machete Men’s Snowboard is perfect for taking on any kind of terrain without comprising on speed. You don’t need to worry about getting it damaged as it is durable enough to handle any kind of abuse. Finding a board which will assist you in performing every trick available in snowboarding book is difficult. Some snowboards are manufactured in giving snowboarders ease when they perform an ollie. Other companies keep in mind the requirements for performing jibbing. 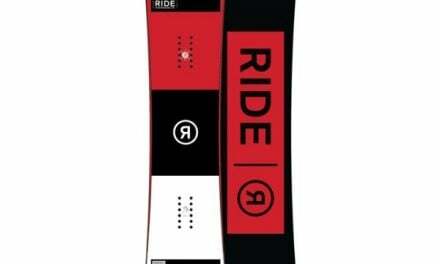 Very few boards are introduced in the market which will make it easy for a snowboarder to perform every stunt. 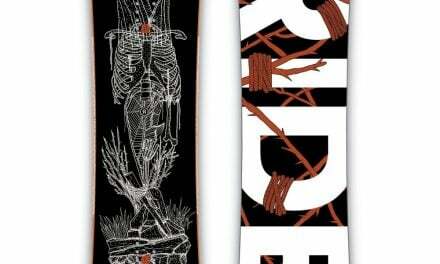 The Ride’s Machete Men’s Snowboard comes with this quality and is easily one of the best-looking boards out there. If you like to make your own path through the snow, then just pick it up and take it for a ride. 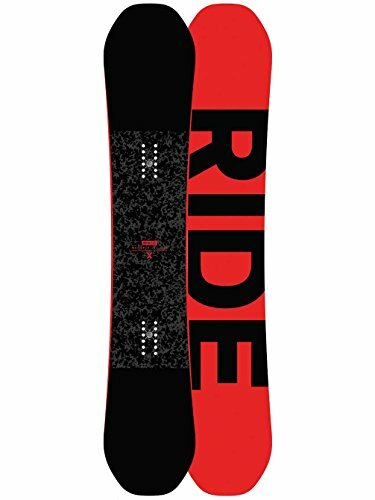 A perfect solution for intermediate and advanced riders as this snowboard will give you every opportunity to show your skills. If you still aren’t satisfied with this board, just keep reading further and decide by yourself. The Machete Snowboard can take on any terrain with its remarkable features. Its Twin Rocker has a rocker in tip and tail while being flat in between the inserts. 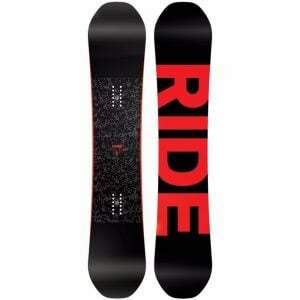 This introduces more snap in this snowboard which might not be present in most of the snowboards. In addition, it makes this board more forgiving if you get a trick wrong. Constructed with urethane slime-core wrapped with flat carbon rods, Pop Rods 1.0 Core increases the pop and makes the landing smooth. Instead of rejecting the force of impact, it assists in absorbing it. Resultantly, you will have smooth interaction with every terrain you face. 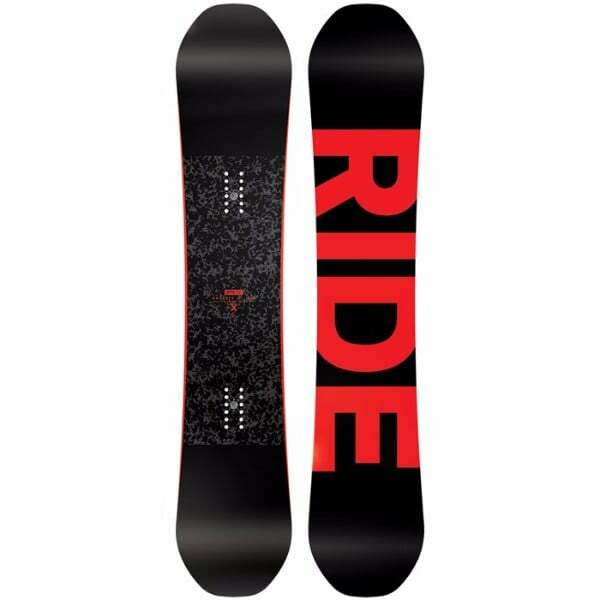 This Ride Men’s Snowboard comes with a combination of extraordinary qualities which will provide you with perfect adventure in the snow. It comes with Performance Tuned™ Core which is an amalgamation of high strength Aspen with Bamboo and Paulownia wood. Paulownia wood is known for providing lightweight quality to snowboards. As a result, this snowboard reaches a perfect balance between sturdiness and lightweight. Moreover, whatever stance you take on the snowboard, Carbon Array 3™ Laminates provides with perfect balance and control to the rider. Furthermore, its Roll in Slimewalls will increase the strength of the board without compromising on its lightweight quality. Perfect for Intermediate and Advanced riders. Twin Rocker profile gives more snap. Pop Rods® 1.0 Core makes landing smooth. Performance Tuned™ Core makes it sturdy and lightweight. The Ride Machete Men’s Snowboard is perfect for taking on any kind of terrain without comprising on speed. You don’t need to worry about getting it damaged as it is durable enough to handle any kind of abuse. Furthermore, it will provide you with perfect balance and control when you decide to perform risky tricks. Intermediate and advanced snowboarders can easily show their expertise in this field without facing any problems from the snowboard. 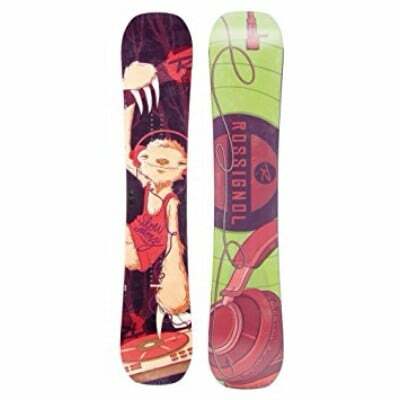 Whether you are carving or jibbing, this snowboard will never disappoint you. If you are impressed with its features, just visit Amazon website and order it as soon as possible.